As heavy truck traffic is removed from the streets of Ybor City, efforts to return the area to its place as one of West Florida's most vibrant urban neighborhoods receive a major boost. As 2016 came to an end, merchants, residents and developers in Tampa’s Ybor City could look forward to a future that they themselves would define rather than a future that has been forced upon them for the greater part of 50 years by an interstate highway system. More than 6,000 tractor trailers would cut through the neighborhood along 21st and 22nd Streets, the main exit off I-4 into Ybor City, carrying cargo to and from the Port of Tampa. A trail of destruction that crippled buildings, clogged otherwise residential roadways and thwarted redevelopment efforts followed in the wake of this heavy truck traffic. Now, heavy truck traffic has been banned in Ybor City and redirected to a $426 million connector between Interstate 4 and Lee Roy Selmon Expressway in order to efficiently serve the port and bypass the neighborhood all together. Removing 21st and 22nd Streets from Tampa’s list of approved truck routes represented a culmination of infrastructure enhancements throughout Ybor City that are all designed to return the neighborhood into a less auto-centric, mixed-use neighborhood. On 21st and 22nd Streets alone, over $9.5 million was spent on infrastructure improvements that have included slimming down the streets from three lanes to two, widening sidewalks, adding features such as bike lanes, on-street parking and lamp posts, as well as upgrading stormwater systems and water and sewer pipes. On the first day the official truck traffic ban went into affect, Ybor City was no longer merely an industrial area that housed the last vestiges of a legacy population too stubborn to relocate. At once, the building-shaking sounds of heavy truck traffic that once ripped right through the heart of the community went silent. Instead, the sounds of wild chickens crowing, conversations among people enjoying espressos in outdoor café spaces and children playing on playground equipment filled the air. 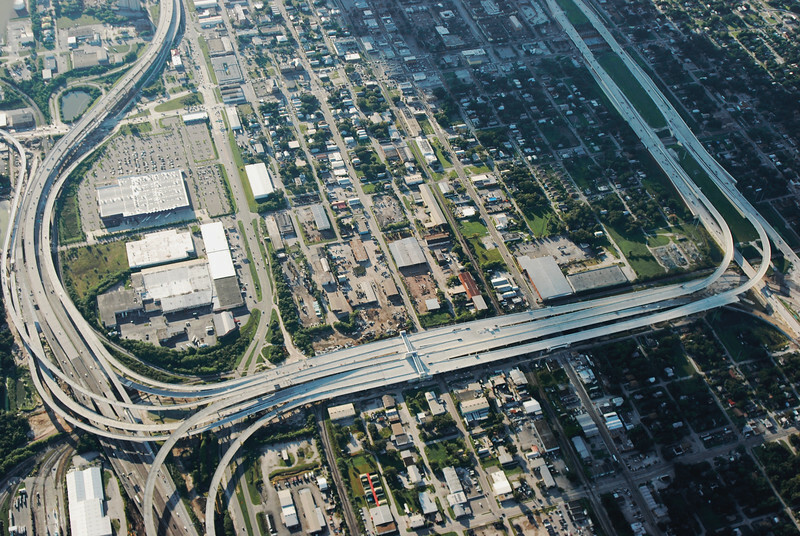 One the largest ever transportation construction projects in Florida’s Tampa Bay region, the I-4/Lee Roy Selmon Expressway Connector was designed to relieve traffic congestion in historic Ybor City, streamline area commuting, provide an additional hurricane evacuation route and improve freight access to the Port of Tampa. Imge Credit: Atkins Global. Ybor City is a neighborhood located just a stone’s throw from downtown Tampa and the Port of Tampa, whose roots date back to 1885 when Vicente Martinez-Ybor and a group of partners founded a small company town that would produce cigars for worldwide distribution. It is interesting to note that the Statue of Liberty in New York Harbor, a symbol of the United States’ liberty and beacon of hope for immigrants entering the country, was dedicated in 1886. The City of Tampa would annex Ybor’s city in 1887. Ybor City became a cultural melting pot in West Florida populated by a surge of Cuban, Italian, Spanish and Eastern-European Jewish immigrants who planted roots in the neighborhood and established a vibrant ecosystem of businesses that catered to the cigar industry. Here is where Tampa received its nickname ‘Cigar City’ and where an entire form of commercial art was born- the cigar label. At the height of the neighborhood’s economic dominance, nearly 200 factories and 12,000 tabaqueros would produce over half a billion hand-rolled cigars within Ybor City. Cigar factories like the V.M. 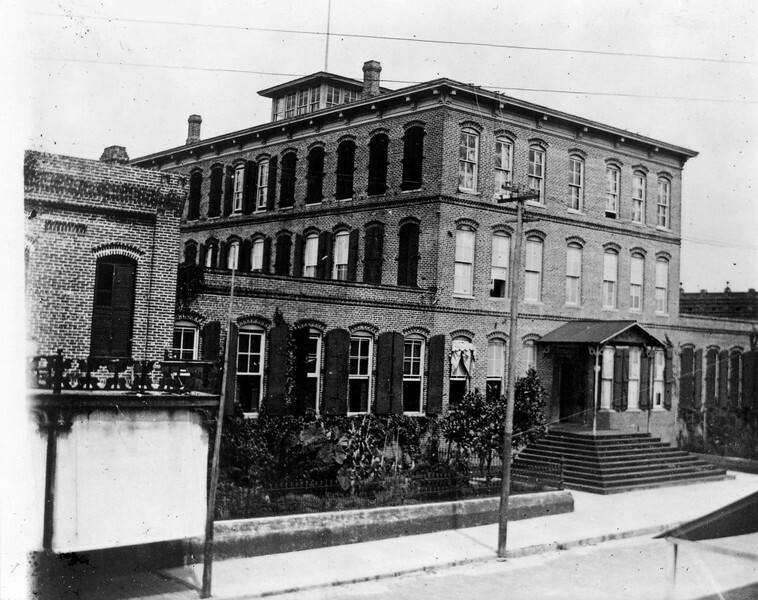 Ybor Cigar Factory, pictured here, employed thousands of mostly immigrant workers in Ybor City. Image Credit: Hillsborough County Public Library Cooperative. Advances in mechanization and the Great Depression devastated the cigar industry in Ybor City by the early 1930’s, leading to a mass exodus of the immigrant white and Afro-Cuban populations that had once filled the neighborhood. By the mid-20th century, Ybor City was a full-fledged urban slum. In the 1960’s, the combination of the construction of Interstate 4 cutting through the center of the neighborhood and the failed Federal Urban Renewal Program which sought to eliminate blight destroyed more than 70 acres of the neighborhood’s historic commercial and residential building stock and tore through Ybor’s traditional street grid. Historic preservation and economic development efforts starting in the late 1980’s would begin to turn the tide for Ybor City’s once proud heritage. However, decades of land use patterns that prioritized industrial users and automobile movement to support the Port of Tampa and its supporting industries continued to hamper efforts to revitalize the neighborhood. In 1988, Ybor City’s first CRA was established to direct capital investments and public resources and establish an environment that would encourage the preservation and redevelopment of the neighborhood. Easing wet zone restrictions in the early 1990’s helped established Ybor City as a popular tourist destination full of dance clubs, bars and restaurants. While the struggle to balance an environment with nightlife establishments and the needs of a growing neighborhood still exists today, it can be argued that the easing of alcohol restrictions did more to preserve Ybor City’s historic building stock than any redevelopment schemes in the preceding 40 years. In 2004 a second CRA was established in Ybor City to encourage the return of residential, commercial and retail activity within the neighborhood’s traditional residential areas. The administration of and coordination between municipal agencies and private parties to enact the goals of both CRAs lies with the Ybor City Development Corporation.